Save on this WEDGE Demo board!! 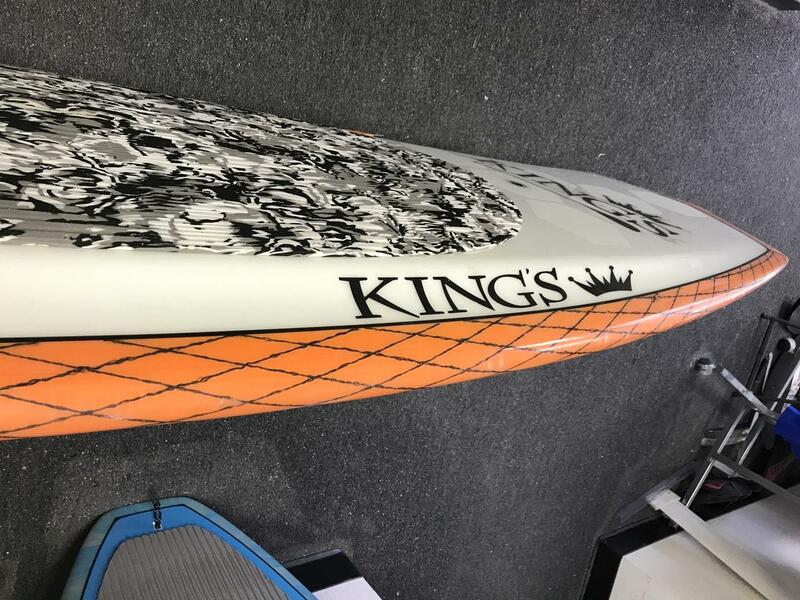 The King’s Wedge model is designed to be the everyday go to board for SUP surfing. 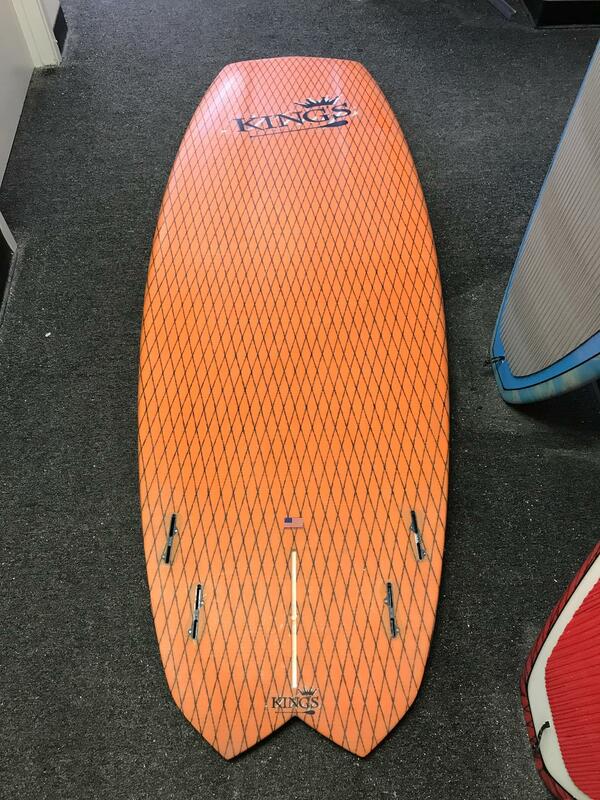 This board is very stable, fast and loose likea a fish... We know you are going to love the Wedge! 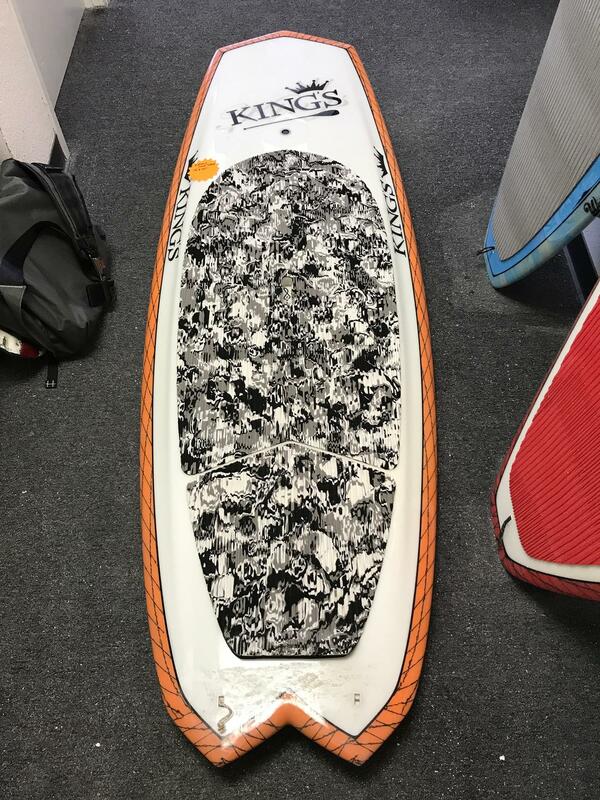 The wide outline creates fantastic planing speed in all sizes of surf. The tail, nose and rails are thin; allowing you to make quick turns at high speeds. The bottom of the nose is slightly rounded; giving you a smooth glide through the water. The front third of the bottom has a moderately deep single concave creating lift. This allows you to accelerate as soon as you catch a wave. The bottom side of the front rails are chinned; preventing the rails from catching when you turn the board. The rear half of the board has a deep Vee with deep double concaves which greatly accelerate the speed of the water flow under the board. The Wedge is best ridden in board lengths under 9’ long. 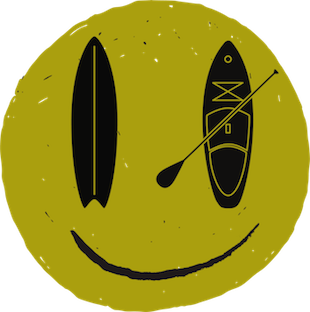 You will love riding this board in waves ranging from ankle high to slightly overhead.